We just finished unpacking our latest trip, and I’m famished. Well, as famished as one can be after eating gourmet steak-and-potatoes feasts, lasagna, and other of the finest culinary concoctions. Holiday’s guests eat like royalty on the river, but that doesn’t mean we can’t all still appreciate a hard-earned trip to the local eatery as we re-adjust to civilization. When I think of summers in Green River, I think of Ray’s. Ray’s is hands-down the top recommendation of Holiday guides for post-trip eats. Just writing about it has me salivating for a juicy cheeseburger. Not only is the food delicious, but the atmosphere is incredibly genuine. Walls adorned with decades-old river running paraphernalia complement the evocative posters depicting whitewater conquest. All are succulent reminders of the amazing adventure you just had and a sort of step-down transition back to the ‘reality’ of paved roads and button-down shirts. 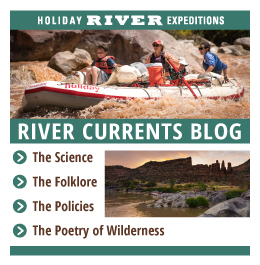 Guests and guides alike trade stories of rapids, side-hikes, petroglyphs, and campfire stories. While a state-of-the-art digital jukebox serves up tunes as requested to complete the vibe. A lot of what people seek from (and love about) Holiday is authenticity of experience. No motorized J-rig boats polluting the canyon air with noise and gas fumes, no big corporate network. Holiday has stayed true to family roots and local attitude, all the way down to the pre-and-post-trip experiences in our home desert hideaway of Green River. 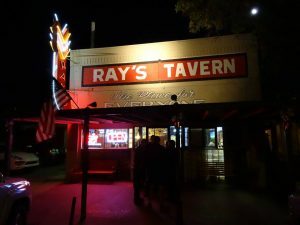 Ray’s is a cornerstone of the local culture and economy. It’s much more than a pop-up or a facade with the intention of extracting as many tourism dollars as possible from folks seeking a genuine desert experience. The Ray’s guys know many Holiday guides on a first-name basis, and vice versa. Holiday crews are greeted with a boisterous ‘hello!’ as well as hot dishes of gourmet food. Have we mentioned that the food is delicious? Wash down that thick cheeseburger with a cold glass of your favorite brew. Or split a pitcher with friends as you exchange stories over a game of pool. There’s a lot of establishments where you’ll get the ‘too big and too busy’ vibe. That or you’ll be made to feel like you’re another cog in the money-making machine that churns out processed food delivered with impersonal service. Not so at Ray’s. Attentive, friendly, approachable wait-staff bring out carefully prepped and prepared dishes. 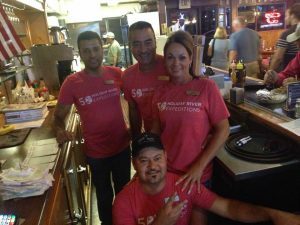 It will leave you wanting to keep this family-owned restaurant a secret so you can keep coming back for more without risking letting the world know what you’ve stumbled upon. Joe Ballent found the river- or it found him –when he was only 16. He began guiding with Holiday in 2008 and has enjoyed the unique privilege of getting involved with Holiday’s youth trips, including the University of Utah Hospital Burn Camp program. 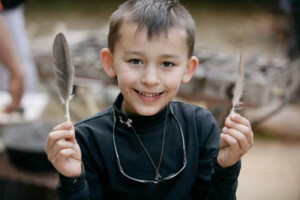 His writing has been featured on various outdoor online communities including mountaintechs.com and backcountrybeacon.com. Joe works with troubled teens full-time but manages to find trouble around the country and world in his freetime. He is an outdoorsman by trade, a romantic by choice, a guitarist in a band, and an outlaw in Europe.